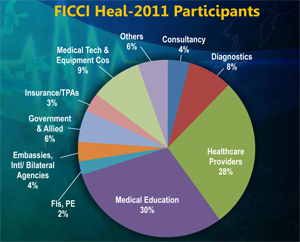 FICCI organized the 10th edition of FICCI HEAL which was supported by the Ministry of Health & Family Welfare, GoI. The two-day conference, attended by over 350 delegates, brought together various stakeholders of health sector encompassing healthcare providers, government officials, policy makers, representatives of embassies and multilateral agencies, medical technology and pharmaceutical companies, healthcare education providers, health insurance companies, financial institutions etc. 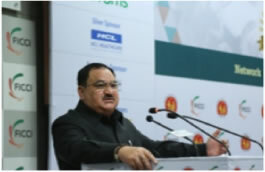 Shri J P Nadda, Union Minister for Health and Family Welfare, GoI. Mr Sunil Kant Munjal, Joint Managing Director, Hero Motocorp Ltd. & Chairman, Hero Corporate Service Ltd. 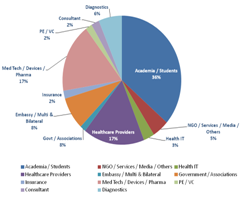 There is an urgent need to develop a forum for healthcare providers and professionals to engage in meaningful and interactive discussions with the government entities to enable the transformation and re-engineering of the Indian healthcare industry. The healthcare sector is moving in the right direction and Speed, Scale and Skill are needed to keep the momentum of the drive alive. There is a need to bring in new technology and adapt it according to the requirements of the Indian healthcare system. Re-engineering in the thought process is needed to bridge the gap between the available technology and its use. The public and private sectors must work in tandem to scale up innovations in the sector and provide affordable and quality healthcare to all. The 9th edition of FICCI HEAL, the annual healthcare event of FICCI, was supported by the Ministry of Health & Family Welfare, GoI. 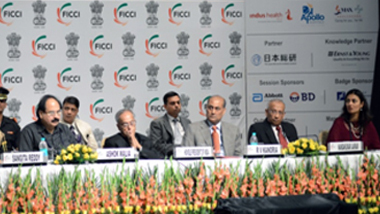 Medical Excellence Japan was the Conference Partner for FICCI HEAL 2015. Dr Jitendra Singh, Minister of State for Development of NE Region and Minister of State for Prime Minister Office, GoI. The conference encompassed deliberations on various approaches and best practices to help India in this paradigm shift and leapfrog to health and wellbeing. The Conference was a conglomeration of policy makers and over 475 national and international leaders from healthcare and associated industries. FICCI organized the 8th FICCI HEAL supported by National Health Mission, Ministry of Health & Family Welfare, GoI which was a conglomeration of policy makers and more than 650 national and international participants from healthcare and associated industries. Dr Poonam Khetrapal Singh, Regional Director- SEARO, World Health Organisation. The Conference focused on the various opportunities and challenges to promote innovation which can change the current paradigms and move towards better, efficient and cheaper methods for accessible, affordable and quality healthcare in India. Event held in partnership with the Ministry of Health & Family Welfare, Government of India Dr Syeda S Hameed, Member, Planning Commission, GoI inaugurated the conference, Over 600 delegates participated from across the globe. 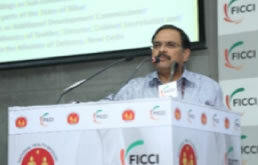 The 7th edition of FICCI's global health conference brought together all the stakeholders of the health sector encompassing healthcare providers, government officials, policy makers, representatives of embassies and multilateral agencies, medical technology and pharmaceutical companies, healthcare education providers, health insurance companies, financial institutions etc. 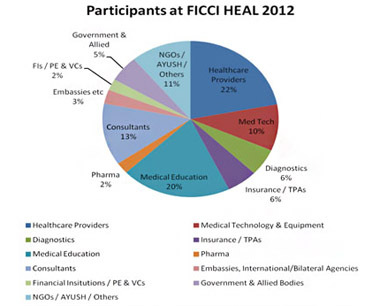 FICCI HEAL 2012: Universal Healthcare: Dream or Reality? The Event was held in partnership with the Ministry of Health & Family Welfare, Government of India and National Accreditation Board for Hospitals & Healthcare Providers (NABH). The Conference was a conglomeration of policy makers and leaders from healthcare and associated industries with participation of about 400 delegates from India and abroad.